Destinations are integrating technology for the benefit of tourists more often these days, and the same can be said of Osaka, Japan. 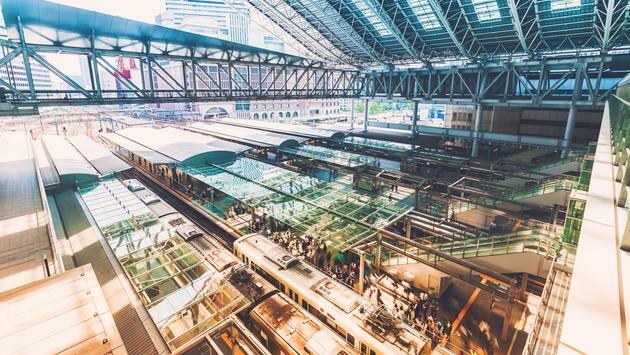 From October 2-4, the West Japan Railway Co. (JR West) installed an AI robot with knowledge on tourist destinations and train schedules at JR Osaka Station. It was part of a few studies to see just how beneficial AI systems can be for tourists. The robot communicated in both Japanese and English, aloud and with written words on the screen, so both local and foreign tourists could maneuver through the train station to tourist destinations like Umeda Sky Building or the Tsutenkaku Tower. It also offered instructions to restrooms and other facilities on-site. Straight from a sci-fi novel, the AI robot “learns” how English-speaking sightseers ask questions through conversation. From October 16-18, JR West installed a similar AI with a display-system that allowed tourists to speak or use the touchscreen at the Osaka Station. If you didn’t get a chance to experience the AI robot earlier in the month, JR West will also be testing another AI robot guide at the Kyoto Station from October 30-November 1 and November 13-15. After studying the results, JR West may put the devices in train stations around Japan. JR West isn't the first tourism company to test AI intelligence. Both KLM and Kiwi.com have tested AI intelligence software in their customer service operations.